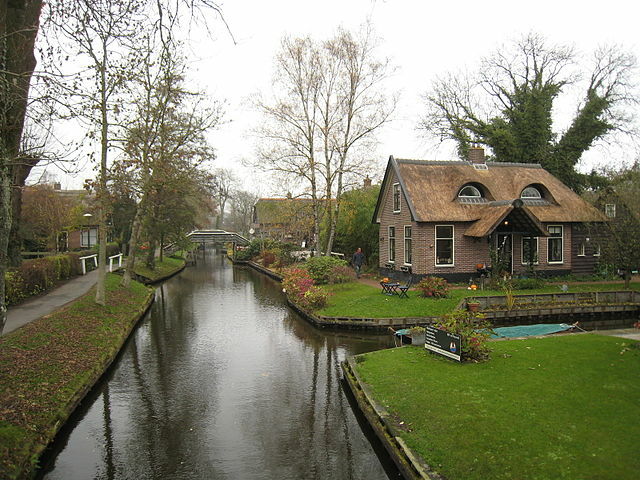 Do you know a place called, “Giethoorn” in the Netherlands that looks exactly like Venice? It is called the ‘Venice of Netherlands’. Giethoorn has no roads folks! 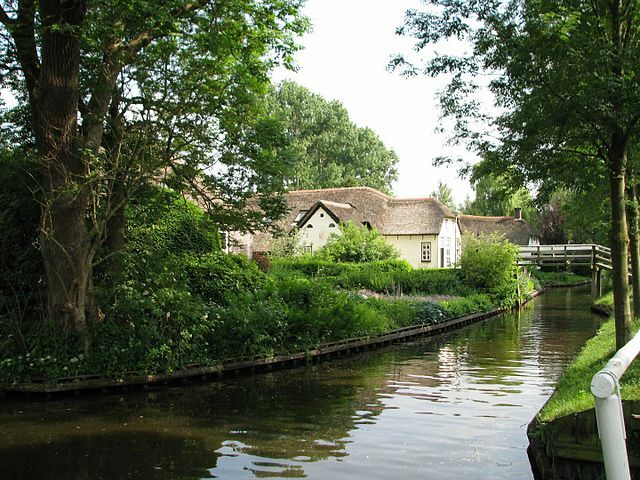 Hence, Giethoorn is a ‘car-free’ village of the Dutch province Overijssel. Giethoorn means ‘goat horn’. You might have seen Venice and fell in love with those waterways, shopped vegetables and fruits from boat-markets, endlessly gazed at the slow-moving boats from the bedroom of your hotel room abutting one of the myriad canals, and captured a minimum of 50 photos to show it your family and friends. Similarly, there are several backwater canals in Kerala, India that attract tourists from all over the world. They laze around on one of the boat-houses that cruise the backwaters leisurely. 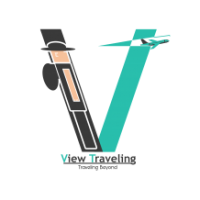 We all love to move around on water; in fact, we prefer water transportation than polluted and dangerous roads. 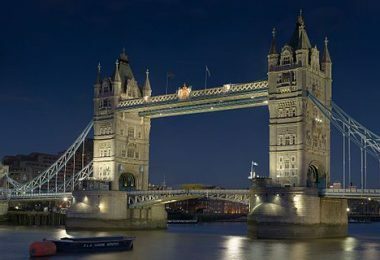 Look at the image above! Doesn’t the scene spells, “Quaint”? 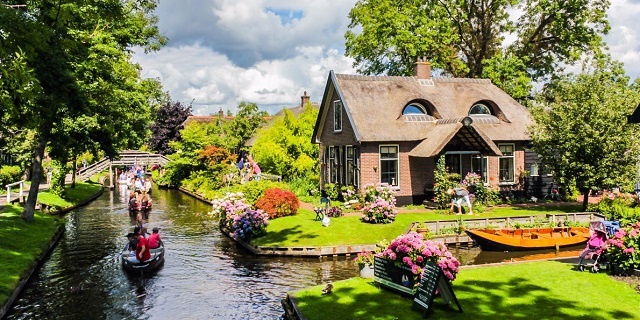 Oh dear God, how I would like to spend the rest of my life in Giethoorn! Those lawns in front of the waterfront homes look like extended verandahs! Look at the moored paddle-boats waiting for their masters to take them around. 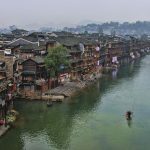 In this village, it seems every house owns a boat or two as a majority of the houses and restaurants are accessed by boat only. I read that even the postman has to travel in a boat to deliver the mail. 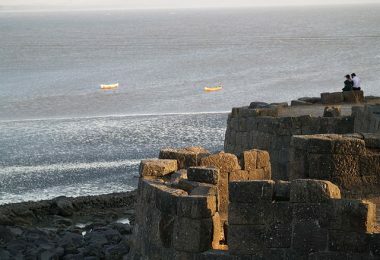 The waterways look deserted now. Probably, people have gone to work. Now, it’s afternoon time. The scene below seems to convey Giethoorn citizens are taking their siesta now. 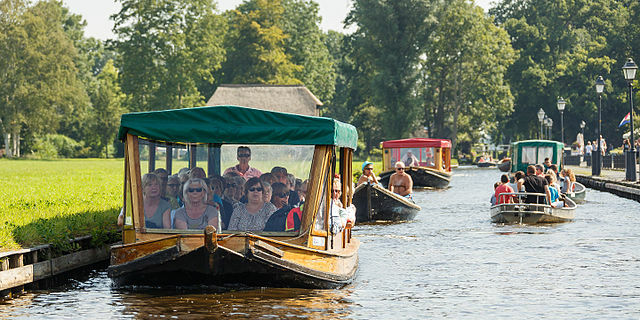 Tourists to Giethoorn are exploring this small Dutch village on boats. The children are going to their school in a boat! People are taking a relaxed stroll on the walkways abutting the canals. Isn’t that a perfect residential setting in a Venice-like village? The whole village is oozing peace and life seems to move at a very slow pace. 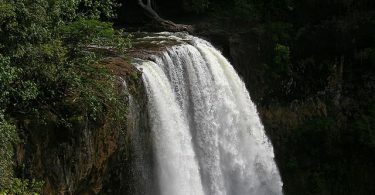 Even the backwaters seem to enjoy its flow by moving slowly. The atmosphere is quiet and still; calm and serene! No cars; no horn sounds. None is hurrying. What a blessed life the citizens of Giethoorn are living! I read a wonderful expression about the silence in this aqua-village; “the loudest sound you can normally hear is the quacking of a duck…”. How well said! Now, enough of eloquence; let us get to business. In the east of Holland, there is a province called ‘Overijssel’. 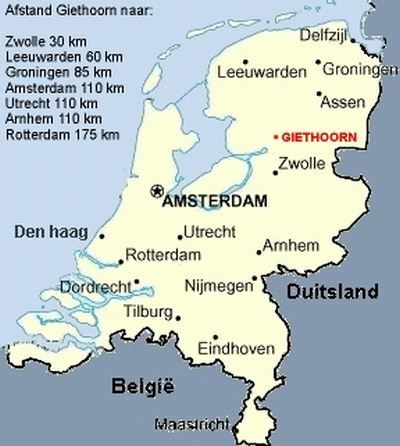 It is where the Giethoorn is located. 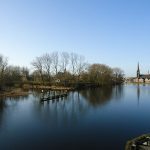 When you are in Amsterdam, go to Zwolle, the capital of Overijssel, either by train or by car. You can reach Zwolle in one and half hour only. From Zwolle, Giethoorn is only 35 km and can be accessed by bus. 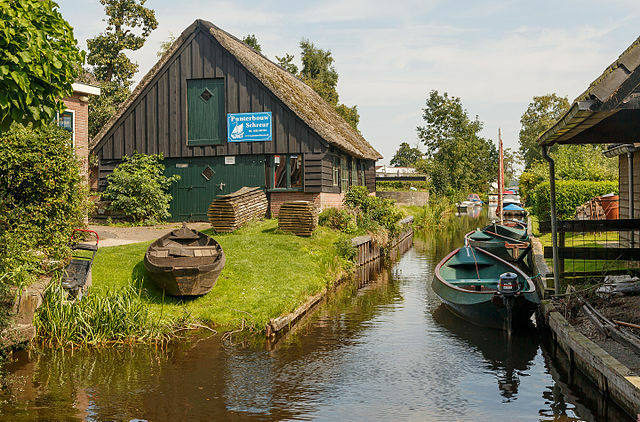 You can explore this lovely village by taking a Giethoorn cruise.This boat tour lasts for an hour only. Else, if you need a lot of privacy, you can hire a small two-seater motorboat and drive on your own. 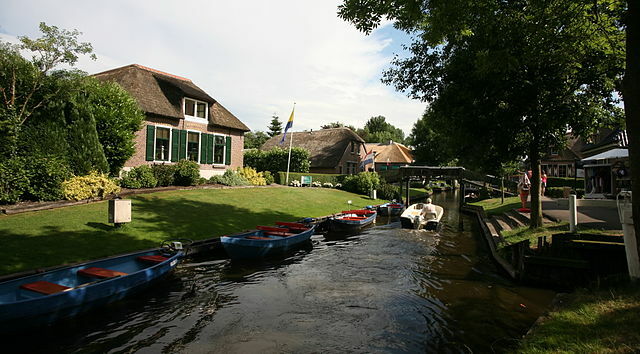 If I were to go to Giethoorn, I would simply go around in a boat with no real destination. 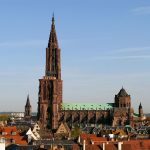 However, you can visit any one or all the three museums. Depicting the rural life of Giethoorn. Museum of gemstones and minerals. It’s a museum of vintage cars and motorcycles. Water walking is a popular fun activity in Giethoorn by getting inside in an inflatable ball. Go around on a bicycle to see the Dutch countryside. 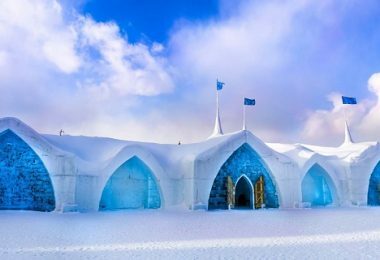 What to do when the canal water freezes? 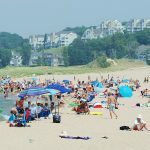 Look at this picture! 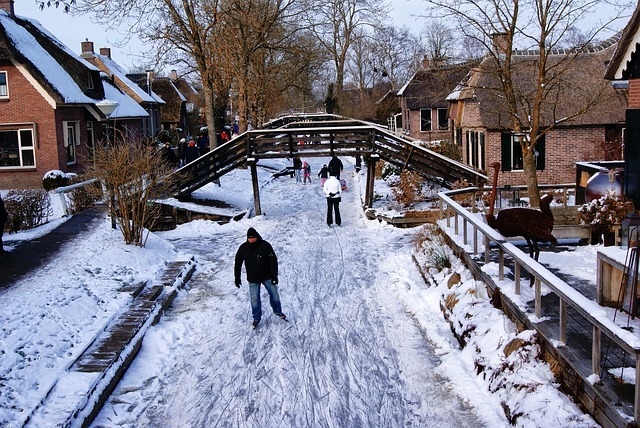 The water is frozen and the citizens of Giethoorn have brought their furniture and placed them on the ice and sitting happily while a group of youngsters is skating on the ice. 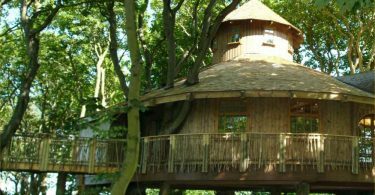 Where to stay in Giethoorn. 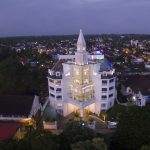 Options for lodging are plenty in the form of bed and breakfast rooms, affordable hostels, holiday homes, and hotels. You get free internet connection everywhere. 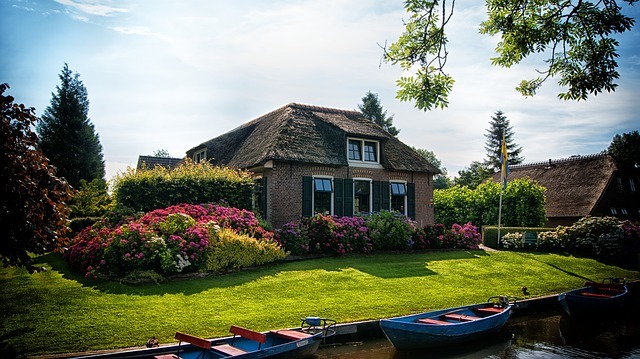 Giethoorn-the car(e)-free village that is full of waterways seems to be an ideal place for honeymooners.